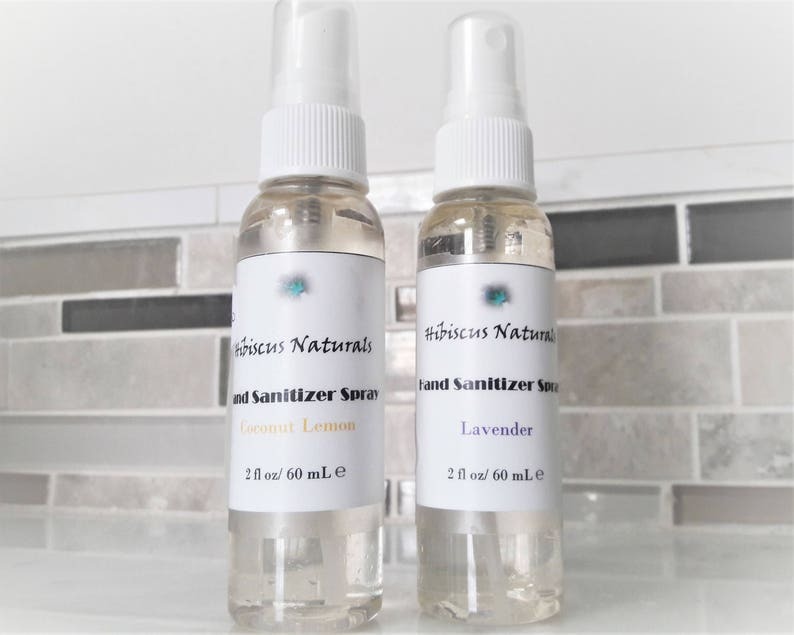 All-Natural vegan-friendly moisturizing hand sanitizer spray scented with all-natural essential oils. In addition, they contain no synthetic additives, are preservative free, paraben free, glycol free, sulfate free, phthalate free, and cruelty free. •	Only ships to United States from Plano, Texas. This listing is for one bottle of moisturizing hand sanitizer. If you are pregnant, suffering from any medical condition, or taking medication, please consult your physician before using our products as they contain essential oils. In addition, although our products are made from all-natural food-grade ingredients, they are for external use only. Although they may smell good, they will not taste good. So, please do not ingest. In addition, keep away from eyes as they may cause irritation. Finally, if skin &/or eye irritation occurs, please discontinue use as you may be allergic. these do the trick! i clean my bedside table with them too. very fast shipping! This works great and is so handy! smells amazing and leaves your skin feeling soft and smooth. a little goes a long way.